With a 7x optical zoom lens and 16 megapixel sensor, Daniel Bell puts the Nikon Coolpix S6150 to the test. 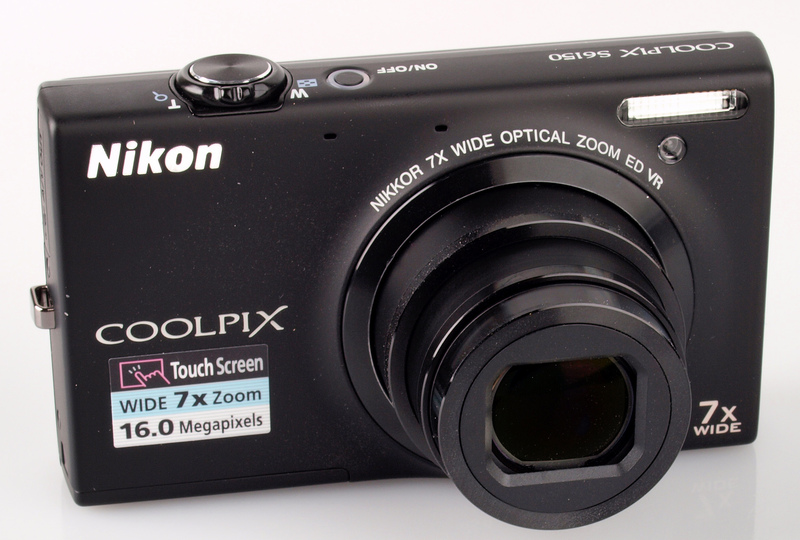 The Nikon Coolpix S6150 was announced in August 2011, with a 16 megapixel sensor and 7x optical zoom. It is available in black, red, violet and pink for £139.95. The S6150 features a 16 megapixel sensor and a 7x optical zoom lens which is a 35mm equivalent of 28 - 196mm. 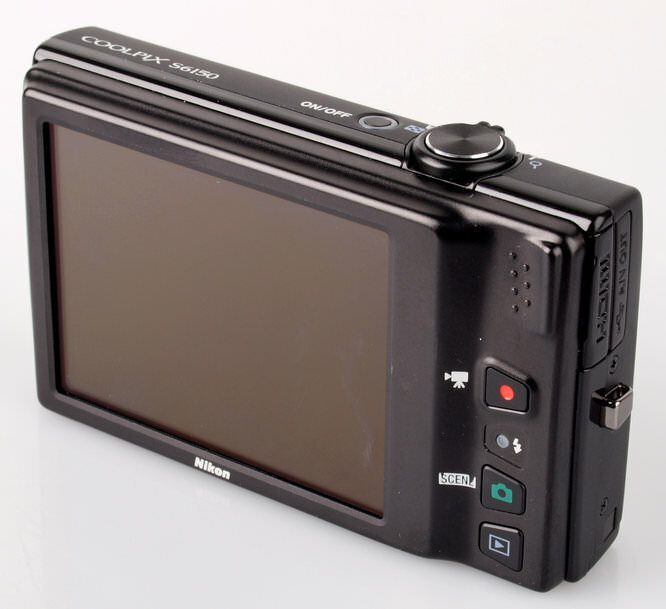 On the rear of the camera is a 3 inch LCD touch screen allowing you to control the camera and select your point of focus. To make picture taking easy Scene Auto Selector selects the optimum Scene mode for popular photographic situations and the user is also able to choose from 19 scene modes. Subject Tracking AF keeps the camera focused on a subject even when it is moving. The camera has a number of ways to help you take the sharpest pictures possible. Lens-shift Vibration Reduction helps reduce the effect of camera shake and high ISO (up to 3200) reduces the risk of blurred images with fast-moving subjects or in low-light. Motion detection compensates for camera and subject movement, with Best Shot Selector (BSS) automatically selects the sharpest of up to 10 sequential shots. 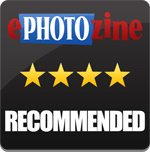 There is also a range of features which are suitable for taking people pictures. Smile Timer takes a picture when your subject smiles and Blink Proof alerts you when someone has closed their eyes. Skin softening will adjust uneven skins tones, with in-camera Red-eye Fix correcting false eye colour caused by the flash. The S6150 has a retouch menu which enables you to edit and enhance images in the camera. Filter effects available include Selective Colour, which converts your image to monochrome then adds a splash of colour to an area of your choice and Cross Screen, which adds a starry effect to bright objects. Videos are recorded in 720p HD with stereo sound. Optical zoom is also available during recording. To view your videos the camera has a built-in HDMI connector for output to a HDTV. 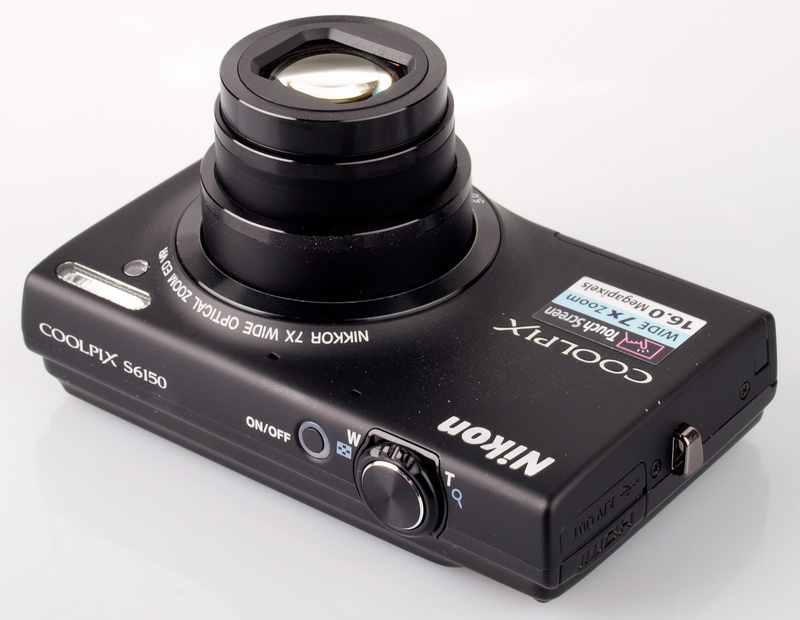 The S6150 is a stylish looking compact camera, packing its 7x optical zoom lens into a compact body. The 3 inch LCD touch screen is used to control most of the settings on the camera and is responsive. Even with the touch screen there are still five buttons, including on/off, shutter, movie, scene and playback buttons. On the rear of the camera is a groove for your right thumb to grip it. The camera menus are easy to navigate with a large amount of settings available at the touch of the button via the touch screen, such as ISO, white-balance, self-timer amongst others. Some of the writing which indicates what the buttons are for has worn away quickly during testing. The camera is ready to take pictures within a couple of seconds of switching on and is quick to focus. The battery has a CIPA rating of 210, which is fairly low, so if you take a lot of pictures when out shooting for a day you may like to consider carrying a spare. In continuous shooting mode the camera is capable of shooting full sized 16 megapixel images at 1.2 fps. Images produced by the S6150 are well exposed with good colour reproduction, although there is purple fringing appearing on occasion. Detail in the images is good when shooting wide, with only a slight softening in the corners. When using the lens at its longest, the areas of softness in the corners are larger and there is vignetting visible. The lens has a minimum focus distance of 3cm and is able to take a pleasant macro image. There isn't any issue with noise at ISO 80 and ISO 100 with only a hint appearing at ISO 200. There is a little more noise at ISO 400, with a sharp image still produced, but at ISO 800 images are a touch softer. Noise has a big impact on image quality at both ISO 1600 and ISO 3200, with these settings best used when shooting images that are to be resized for web use. Landscape mode creates images with excellent blues and greens. You can change the amount of colour in images, from vivid to black and white, examples of which can be seen lower down. Portraits have excellent skin tones, with images free from red-eye. The auto white-balance settings produces good images, which can be seen under our studio lights, and under the respective incandescent and fluorescent presets the images produced only have a slight cast on each occasion. Although no filter effects can be added when shooting, during playback you can enter the Retouch Menu, where you can add filters such as selective colour, soft focus, miniature and many more. Examples of some of these are below. Other options available are Glamour Retouch, D-Lighting, Stretch, Perspective Control and more. Below is an a video shot at 720p. 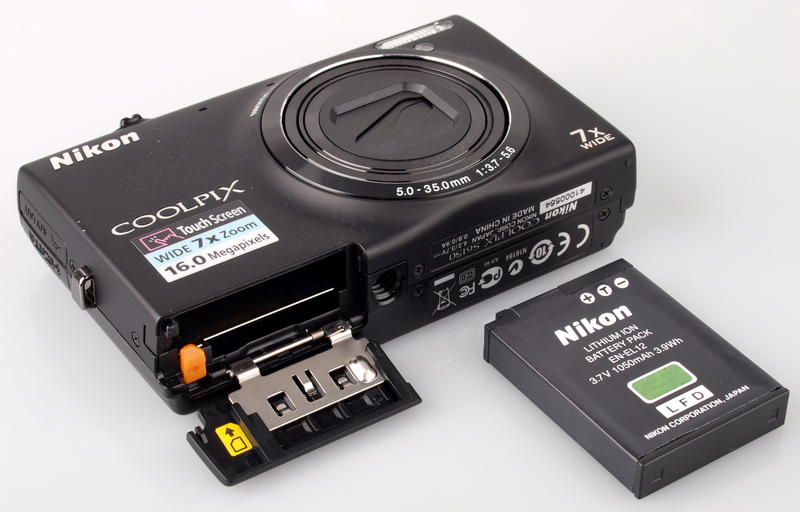 The camera records with stereo sound and also allows the use of optical zoom during recording, an example of which can be seen on the ePHOTOzine Youtube page. 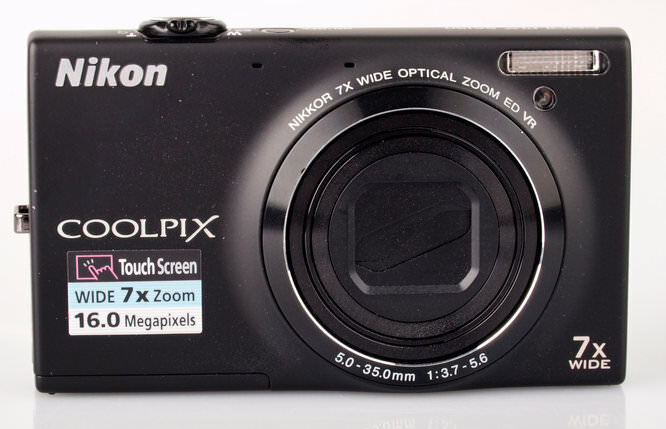 The Nikon Coolpix is currently available for £102.40. There are a number of cameras available with a similar zoom range to suit all budgets, such as the Panasonic Lumix DMC-FS37 (8x zoom, 16 megapixels, £129.99), Canon IXUS 230 HS (8x zoom, 12.1 megapixels, £199.00), Sony Cybershot WX10 (7x zoom, 16.2 megapixels, £229.00) and Nikon Coolpix P7100 (7.1x zoom, 10.1 megapixels, £398.00). The Coolpix S6150 has a range of useful features and makes it easy for beginners to photography to take some very pleasing images. There was some purple fringing in some images but when considering the price it is available for the camera represents excellent value for money. The Nikon Coolpix S6150 performs well and is excellent value for money.